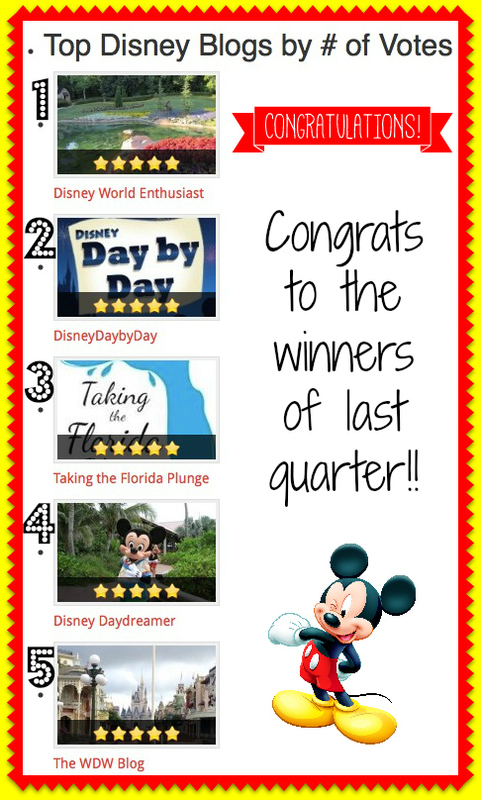 Thanks so much to everyone that voted for Disney World Enthusiast for Top Disney Blog last quarter on The Best Of Disney! My website came in first place out of almost 100 Disney blogs from across the internet. Please check out the article here with all of the details including a complete list of the Top 25 Disney Blogs. I truly appreciate the support! Love your web sight , congratulations!